Collar con una dulce sirenita pintada a mano en color blanco con suaves toques rosa, verde y azul. Regalo perfecto para una mujer amante del mar y la playa. El colgante cuelga de un cordón doble de acero inoxidable que mide 45 cm, con cierre de rosca de latón plateado. Si necesitas otra medida solo envíame un mensaje y lo cambio sin coste adicional. La pieza de vidrio mide 24 mm x 24 mm. El colgante está hecho de vidrio reciclado de ventanas provenientes de edificios antiguos catalanes. Recibirás el collar en una pequeña caja listo para regalar. 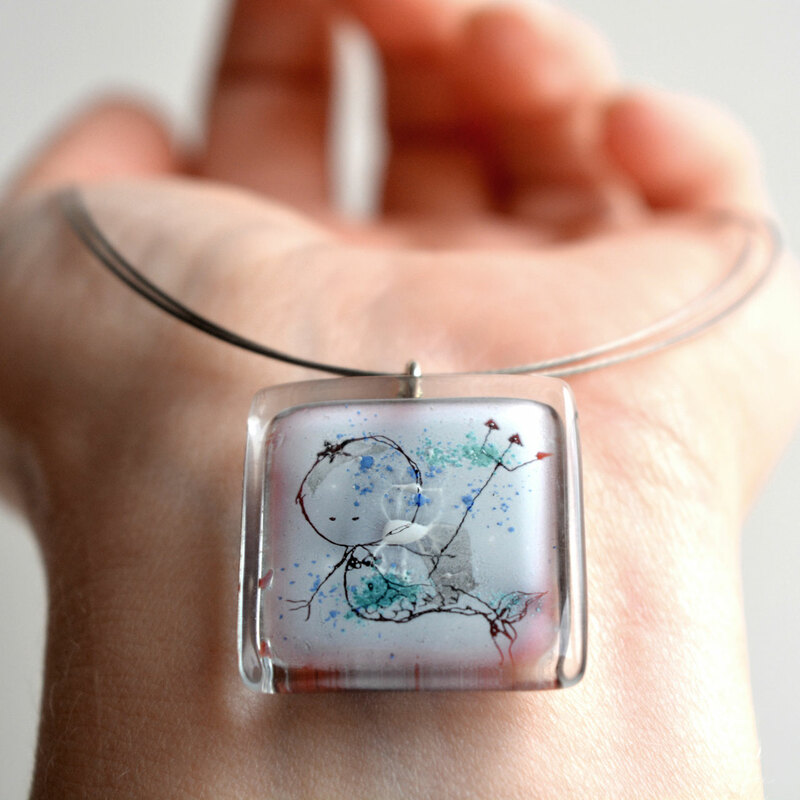 Necklace with the cutest little mermaid, hand painted in white color with soft pink, green and blue touches. 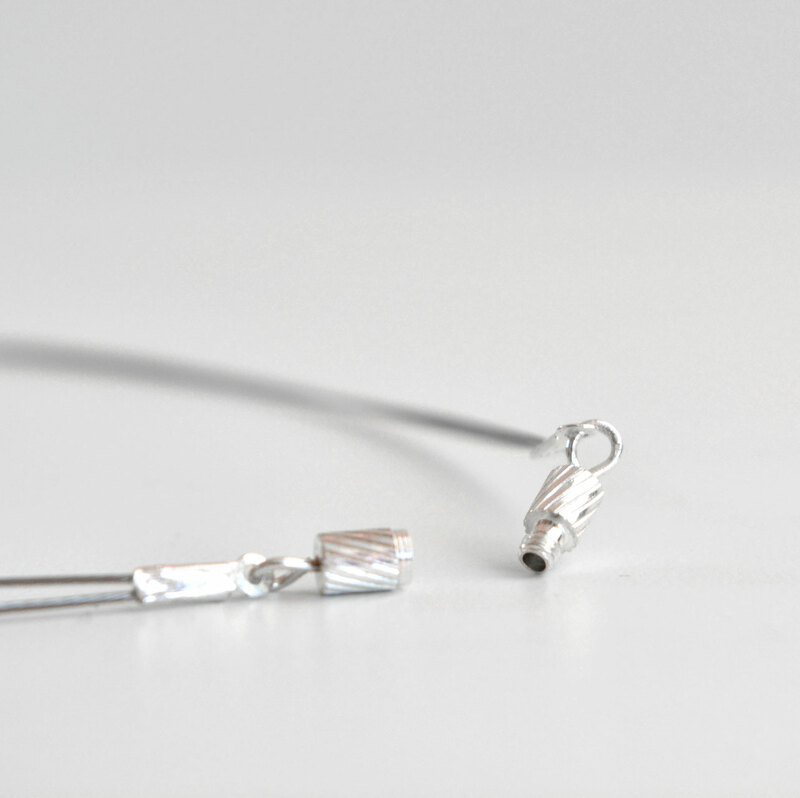 The pendant hangs on a double stainless steel cord closing with a silver plated brass screw clasp. You will receive the pendant that is pictured, it's a one of a kind piece. Perfect gift for a ocean or beach lover. Looks great on summer tanned skin. The cord is 45 cm (18 inches). If you need a different length just message me and wil change free of extra charge. The pendant is made of recycled window glass coming from old spanish buildings which I hand cut, paint and fire at 1490ºF/810ºC. 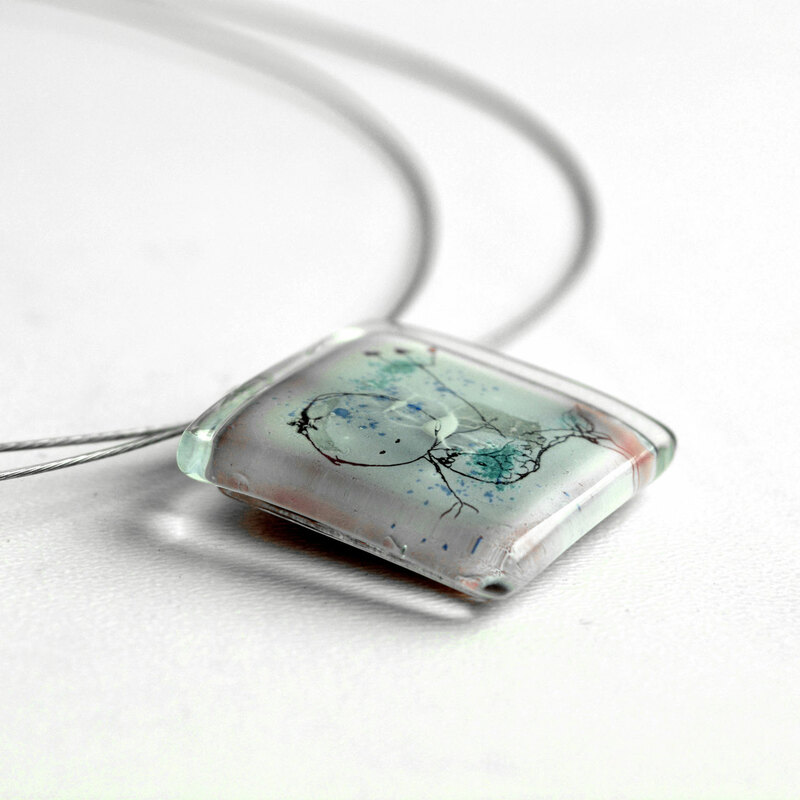 The history of the glass lives on in tiny pieces of jewelry. You will recieve your B Glass bcn jewelry in a box ready to give as gift.